910, 736 – 8th Avenue S.W. What does our field service spread consist of? Our field service spread consists of: a trackhoe, Walter, fusion processors, all required tools, trucks, trailers, and quads. Crews vary in size from 3 to 5 people (i.e. Foreman, lead hand, electrofusion technician, labourer). 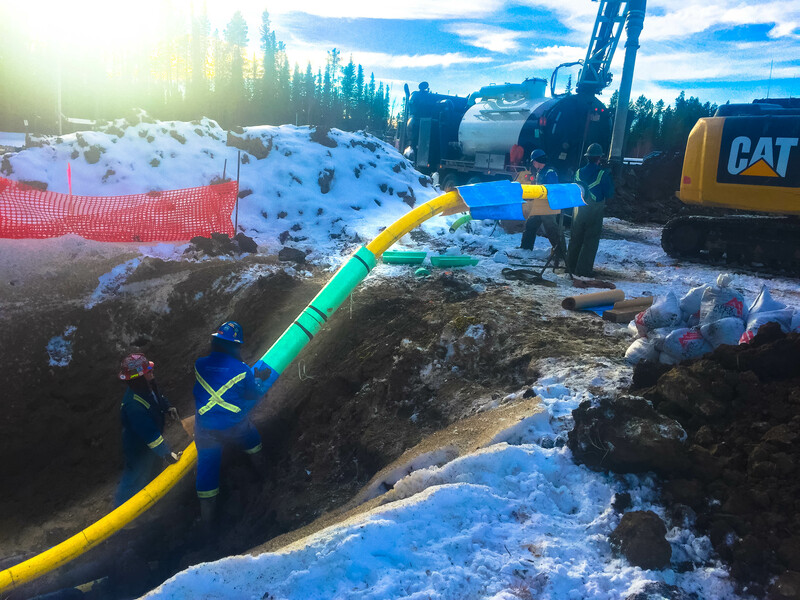 The breakdown below is intended to highlight the division of responsibilities and work between CORE Service® and the pipeline contractor. 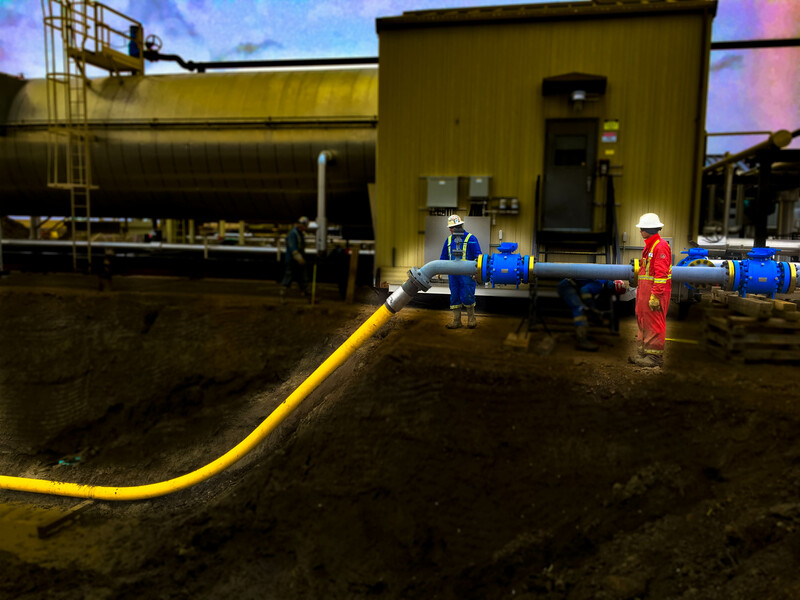 At a high level the CORE Service® team replaces conventional welding and liner crews. All other activities on your project will operate as they normally would with a steel contractor. CORE Service® utilizes the standard inventory that is shipped to the project site and recreates the ClickWeld® assembly utilizing our patented equipment and process (“Walter”). 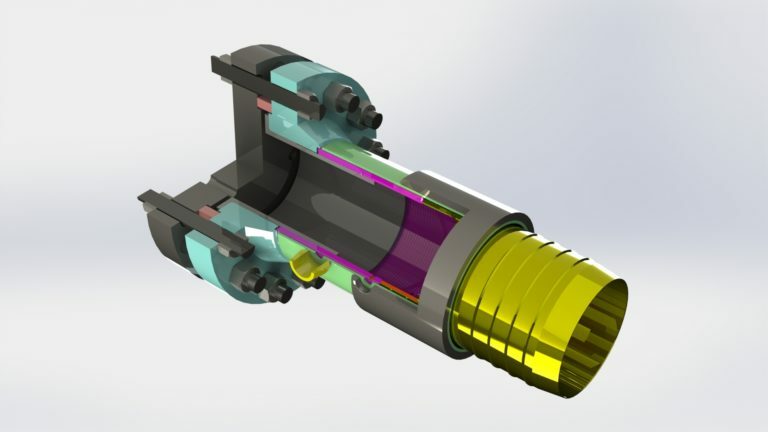 This allows us to install precisely measured inline joints or flanged end fittings. Flanges are applied using our patented ClickWeld® system. 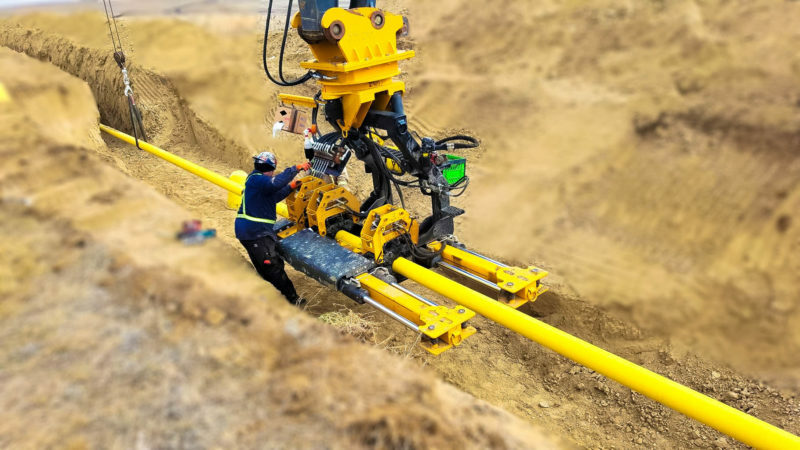 Each flange connection comes with an HDPE stub-end and electrofusion to easily connect to an existing CORE Liner® pipeline. The flange assembly design has eliminated strain on the HDPE stub end, thereby eliminating a failure mode common to other liner systems. Each riser assembly comes with flanges pre-installed and allows our customers to have a corrosion-resistant pipeline from flange to flange, without having to worry about expensive internal coatings. 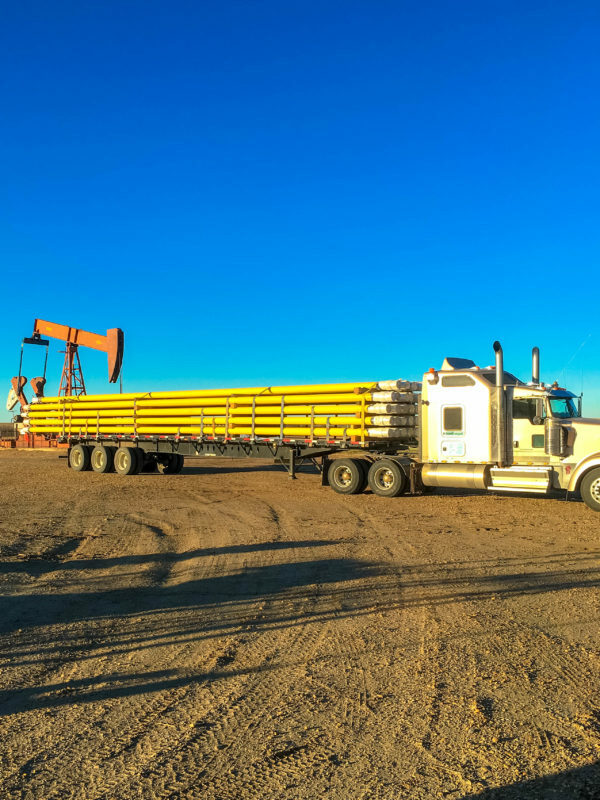 CORE Linepipe® arrives on specially designed pipe bunks (provided by CORE) and can be uploaded using conventional slings, vacuum, or other approved methods. *Pipe ends are not be hooked. 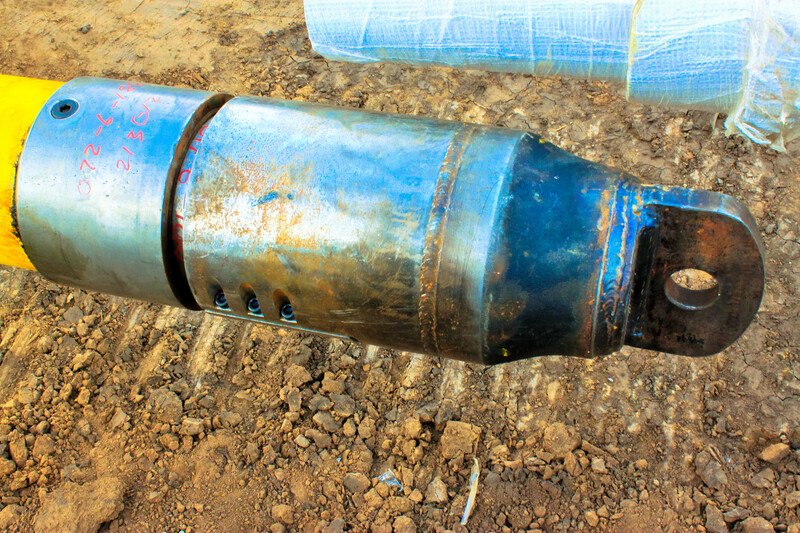 This can potentially damage the mandrel or liner ends of our pipeline liner system. 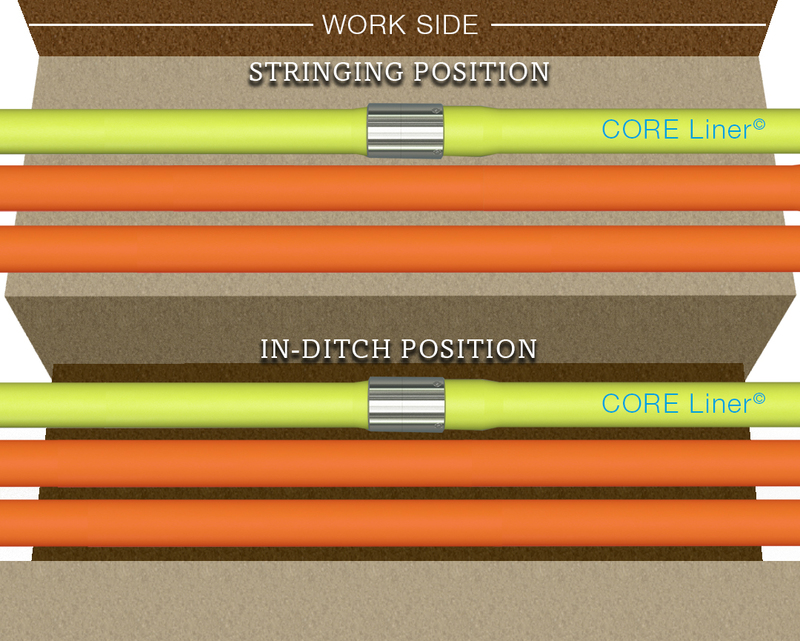 CORE Linepipe® products are compatible with HDD and boring scenarios. 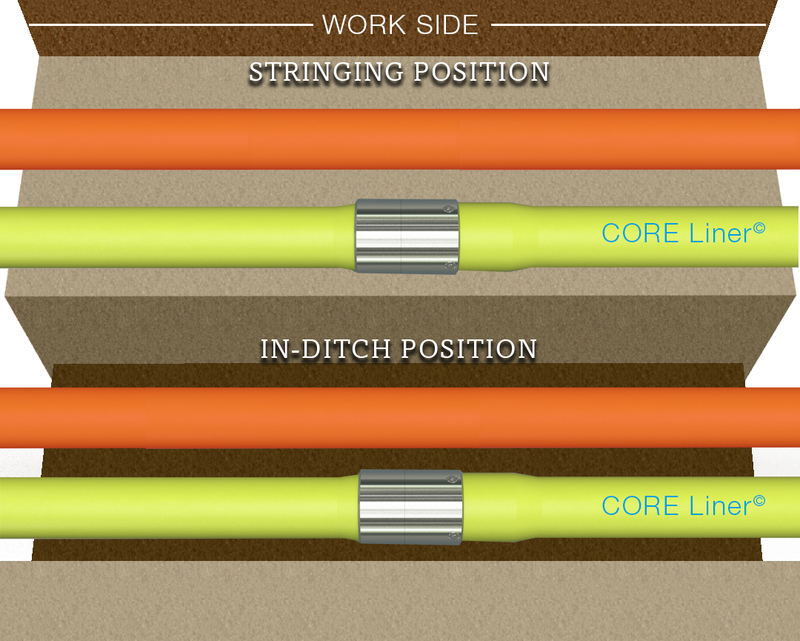 CORE Linepipe® has developed custom pull heads to be used when pulling drag sections of CORE Liner®. The pull heads are specially designed to eliminate damage to the mandrel while providing excellent tensile pull capability. The reusable CORE pull head can only attach to the factory end mandrel. 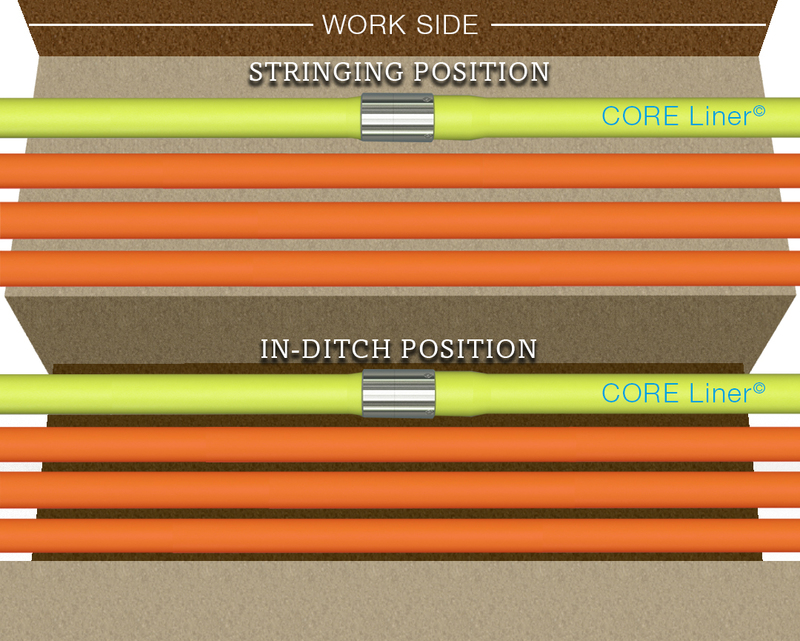 Keep this configuration in mind when planning the directionality of a bore pull. 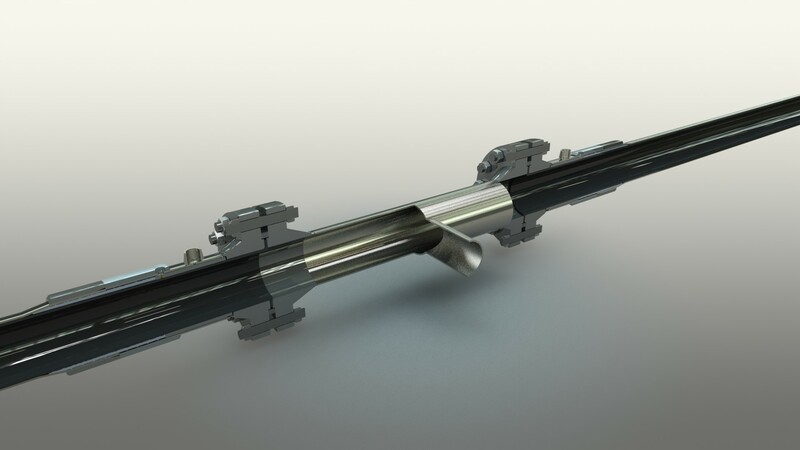 It is possible to reverse the direction to accommodate nonconforming bore directions, but this will lead to extra work time and costs (i.e. welded pull head or transition pup). 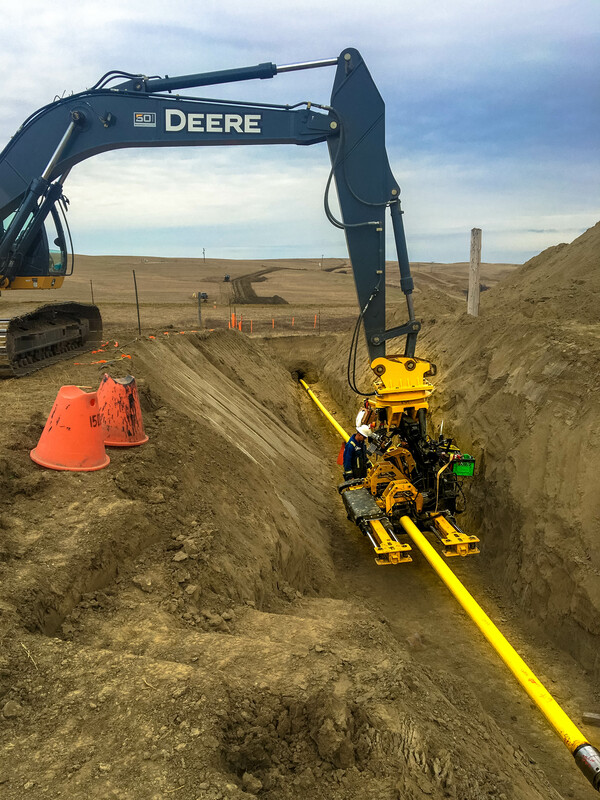 To facilitate tie-in locations, ensure a minimum of 32.8 feet (10 meters) of pipe protrudes from the bore entry and exit. Ensure plugs, seals, and shrink sleeves are installed prior to pulling the drag section. The leading edge of shrink sleeves should be protected to avoid damage. 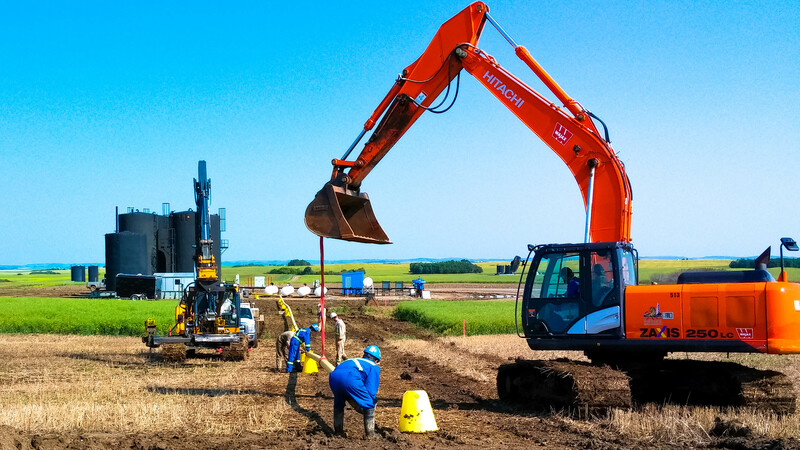 A Thrust-Bore Kit, Scar-Guard, or other protection is recommended on HDD sections. 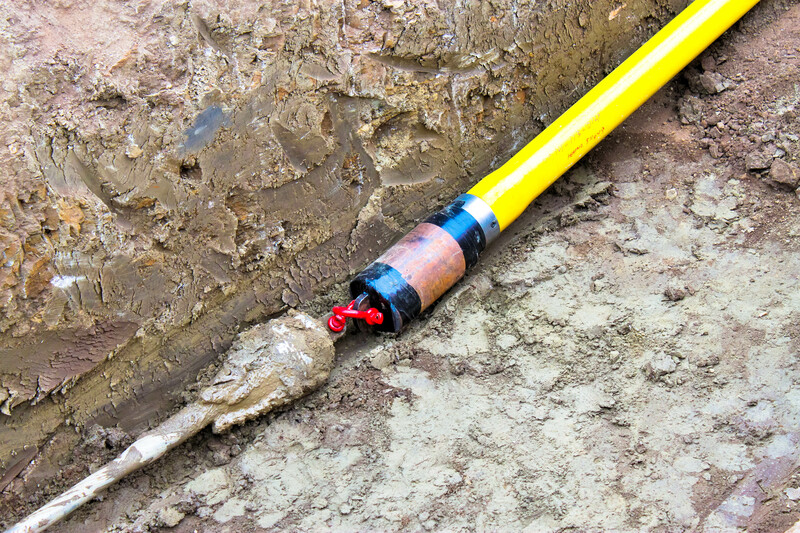 The custom pull head, steel bell cover, and mandrel sealing plug must be used to eliminate damage and debris from entering the ClickWeld® joint. Precautions should be taken to protect external coating of lined pipe if being installed into a bore casing (as per standard steel line pipe practices). The pipe section must be pulled from the factory end side (male mechanical end). *Parameters listed above are based on typical bore/HDD scenarios. 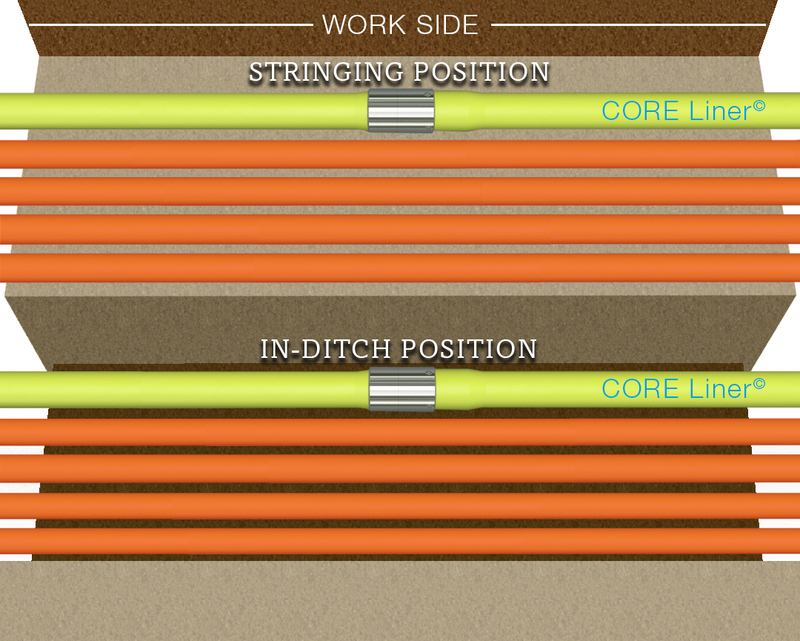 Please consult CORE Linepipe® for any job specific considerations. *Consultation with HDD contractor is recommended. 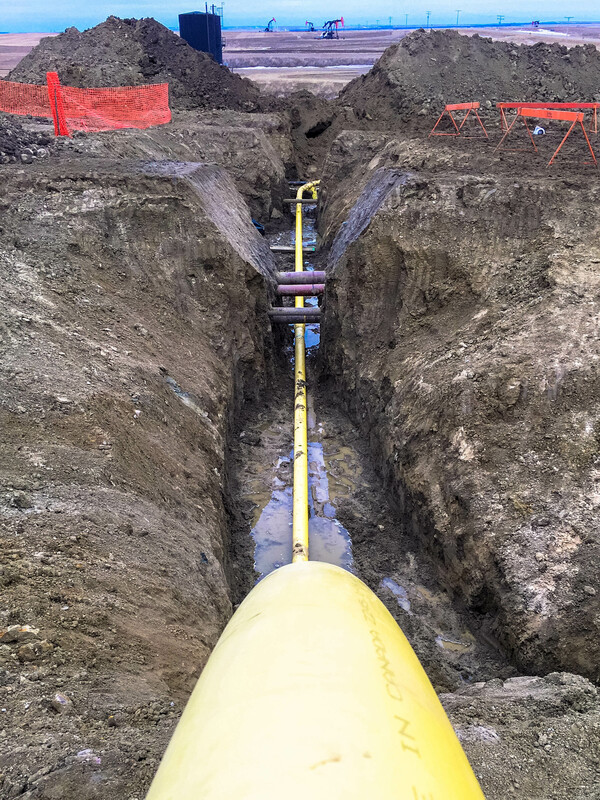 *Care must be taken to ensure no dirt or contaminants enter the pipeline. 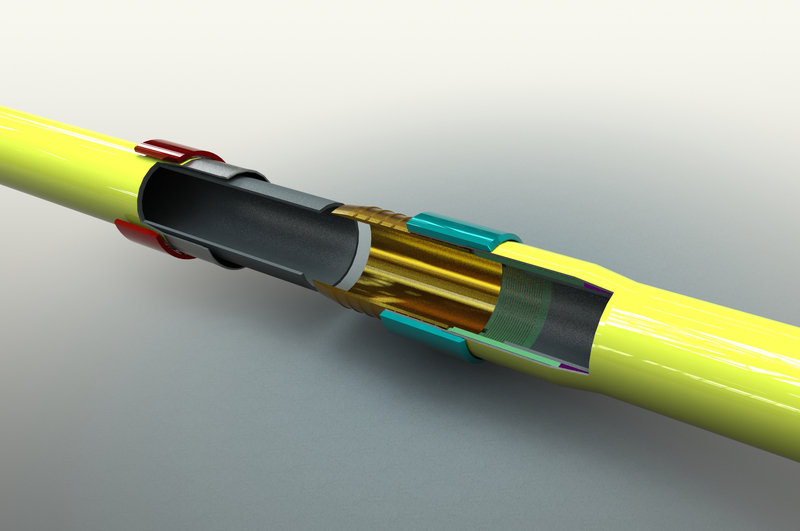 Electrofusions that come in contact with any drilling fluid must be cut out. Please review with your CORE Service® team. **No special design considerations required for torsional force. Use standard Engineering design limits for the base steel pipe. 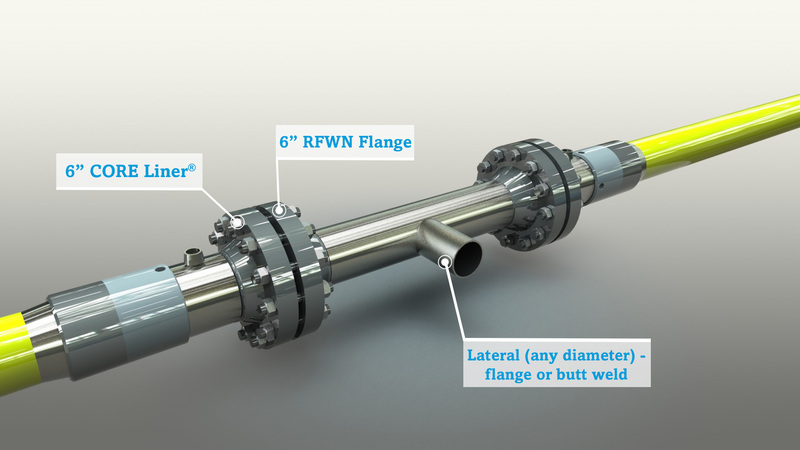 Flow T’s and Y laterals must be constructed using lap joint flanges and are easily integrated into our system. 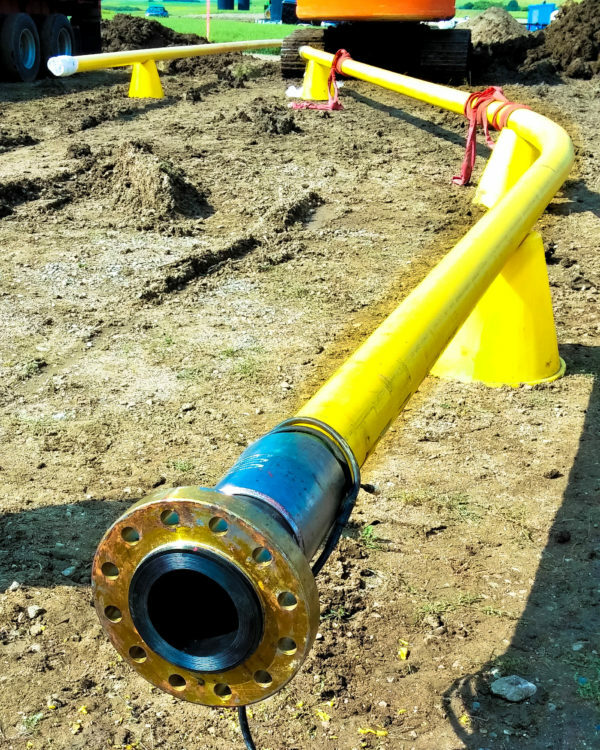 As CORE Liner® is a corrosion resistant system, flow joints must be coated with appropriate product to meet the demands of the intended service. Special consideration should be given to changes of internal diameter in the flow joint as it relates to pigging practices. Please ensure that you use ONLY CORE Linepipe® approved pigs. 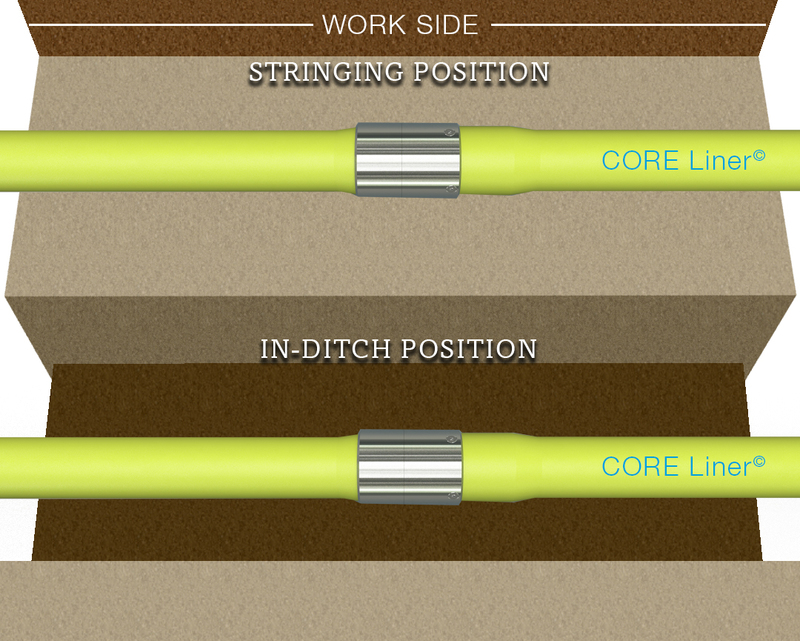 CORE Linepipe® does not supply custom flow joints at this time, for guidance please contact your representative. 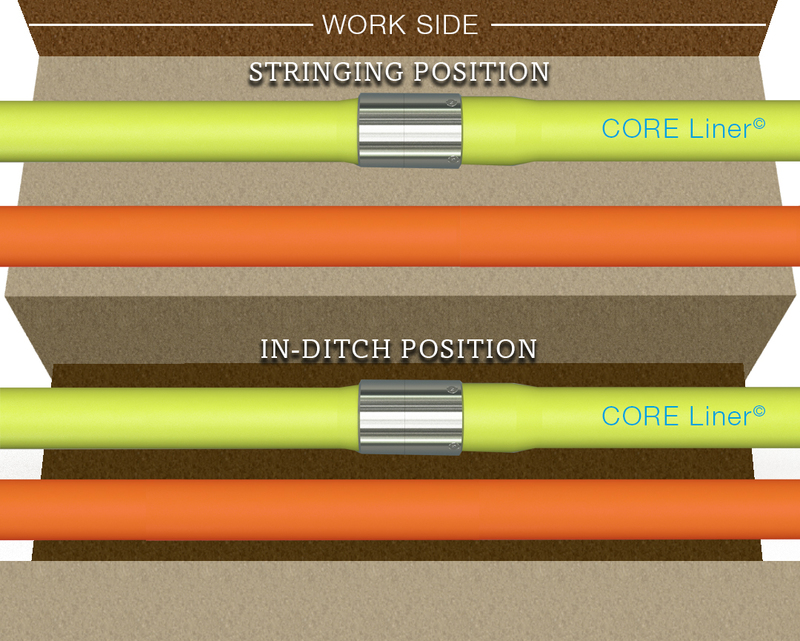 Interested in using CORE Linepipe®? Contact a CORE representative to get a custom solution! 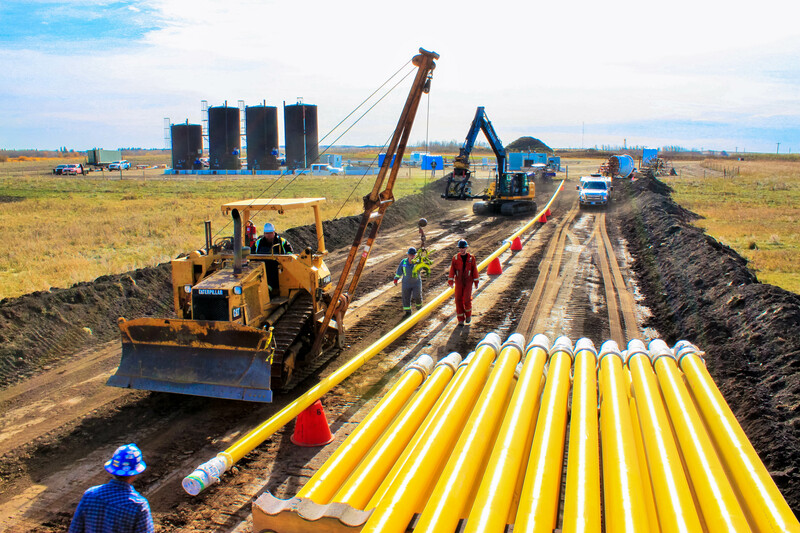 The CORE Linepipe® team has over a century of combined experience working in the oil and gas pipeline market.